A Finnish news cameraman who has worked for 15 years in Beijing starts to document China’s massive tree-planting campaigns. Faced with the threat of climate change, the economic giant China is strongly investing in recycling, renewable energy and other environmental reforms.The filmmaker wants to explore whether authoritarian China, with its effective new environmental policies, could set a green example for the world. But the project takes a surprise turn when the filmmaker gets stopped by local government officials on his way to film tree plantations in Guangxi province, southern China. Here, huge eucalyptus plantations are being developed by the world’s second largest forestry corporation, Stora Enso, largely owned by the Finnish state. 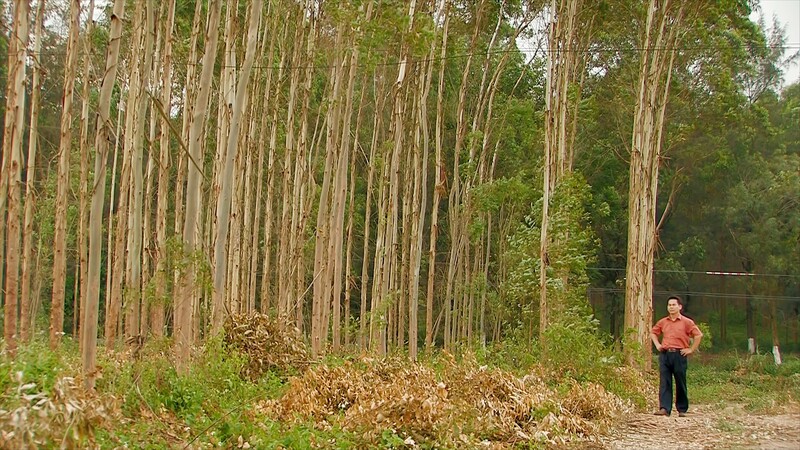 The eucalyptus trees will produce raw material for a planned paper and pulp mill. The filmmaker ends up trapped in a Kafkaesque situation: the officials praise the project’s benefits, but prevent him from approaching the plantations and interviewing locals. Instead he gets isolated in a local hotel, and finds out that all his contacts have been detained. A year later he makes another attempt to find out what is really going on in the province.